An idea that started and managed perhaps the most important part of the success of a business, the establishment and continued strengthening of the Brand Name. Fora a company to work on the disclosure and establishment of its product name is an integrated and successful marketing strategy. An idea hides countless possibilities, many of which have not yet been discovered and developed. 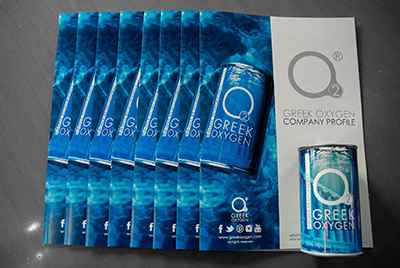 In Greek Oxygen, our primary goal is to develop an evolution and to diversify an idea. We have created a strong brand name and underneath it we have begun a product, a product that is synonymous with our brand and Greece.